The wildly contagious virus is still abundant in many places around the world. The wildly contagious virus is still alive and well in Europe, Africa, and Asia—if you’re going there, you might need better protection. Pack your bags, brush up on your French, get an MMR vaccine. Measles was once a common scourge of childhood, but in 2000, health experts declared that the disease was no longer circulating in the United States—homegrown cases had been eliminated. So when an Ohio outbreak afflicted 383 people, almost all of them unvaccinated, in 2014, public health detectives looked for its source. They found it in two unvaccinated travelers who had recently returned from the Philippines, where a measles epidemic was raging. In Minnesota, where unvaccinated children account for nearly all of the 60 cases in an ongoing outbreak, authorities also suspect that the first of the cases came from abroad. A foreign virus has been the source of at least 88 percent of measles cases in 21st-century America, according to a recent study that tracked the virus’s origins using sick people’s travel histories and DNA fingerprinting. Un- or undervaccinated Americans who travel abroad can contract the disease and bring it back to the U.S., where they infect more unvaccinated people. The simple way to prevent this, of course, is to make sure you’ve received the measles, mumps, and rubella vaccine before traveling abroad. If you’re 28 or older, you might think you’re fully vaccinated against MMR, but you might not be. Why would that age group need the MMR vaccine again if they were already vaccinated as children? Because in 1989, the Centers for Disease Control and Prevention realized that its one-dose childhood recommendation was not coming close to eliminating measles in the U.S. So it doubled its target dosage of the measles vaccine, to two doses for young children. That same year, the CDC said that going forward anyone planning to travel abroad should double-check on their vaccination status—if they had only had one shot and had never experienced full-blown measles disease, they needed to get another jab before departing. Which means that anyone born in 1989 or earlier needs to pay close attention to their vaccination status before going abroad. At home, the odds of bumping into an infected person are extremely slim—there were only 70 cases of measles reported in the entire country last year. But from Belgium to Bali, regularly circulating measles is still a reality, which is why the CDC’s recommendations focus on travelers. Anyone preparing to head abroad should have either documented evidence of two prior vaccinations, or of having had measles infection, or of protective anti-measles antibodies in their blood. (The CDC makes an exception to the extra-shot recommendation for folks born before 1957, when the disease was so rampant in the U.S. that virtually everyone was exposed, and everyone became immune.) And if you’re not sure whether you have one of those three things, a visit to the doctor is in order to double-check. Unfortunately, new research suggests that even travelers who are highly motivated to receive proper vaccinations aren’t getting the MMR vaccinations they need. 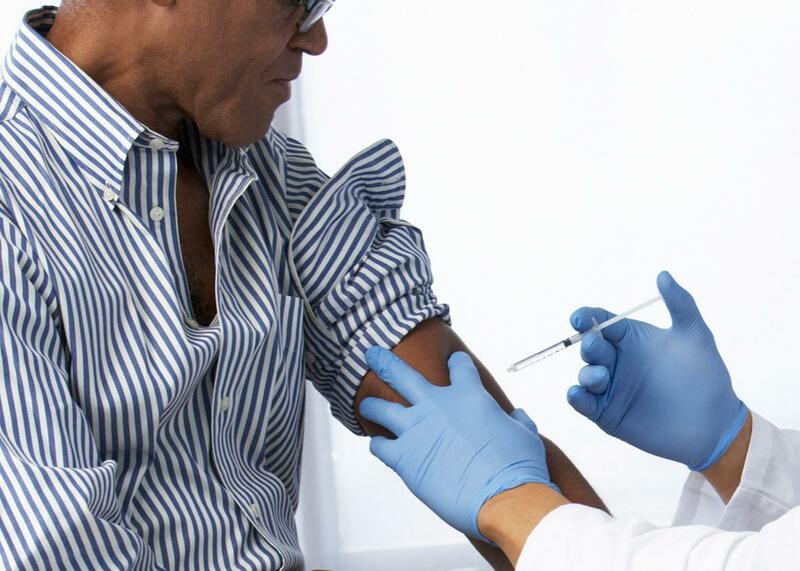 Infectious disease doctors at Massachusetts General Hospital, Harvard Medical School, Boston University, and elsewhere surveyed nearly 41,000 adult travelers who visited specialized pre-travel vaccination clinics. Of some 6,600 who were told they needed the MMR vaccine, more than half left the clinics unvaccinated, either because they refused the vaccine (48 percent); the doctor decided not to give it (28 percent); or they hit administrative barriers before receiving it (24 percent). The most common reason given by those who refused was that they weren’t concerned about getting measles. The lack of concern may be due to lack of information. Measles is common in many parts of Asia, the Pacific, and Africa, and kills some 134,000 people every year. Nor is Europe, where 12 million Americans fly annually, immune. Four European countries that are favorite U.S. tourist destinations—Germany, France, Italy, and the United Kingdom—accounted for nearly 60 percent of the 2,600 lab-confirmed measles cases reported in Europe last year. This year, Italy reported more than 1,600 cases as of last month. Germany logged 410 cases as of early April—16 times the number in the comparable period in 2016. France reported 134 cases in the first quarter; 17 people there have landed in the hospital after measles invaded their lungs or brains. In Portugal last month, an unvaccinated 17-year-old girl died of pneumonia caused by measles. Measles is a miserable disease, and it spreads like wildfire. Nine in 10 nonimmune people who come in close contact with an infected person will get it, and the pool of nonimmune people includes those who cannot protect themselves—babies too young to be vaccinated, people on immunosuppressive drugs, and people with diseases that compromise their immune systems, like kids with leukemia. Laissez-faire U.S. travelers might bear these folks in mind when considering whether to get that MMR shot before jetting off to an at-risk area—and then boarding the close confines of an airplane bound for home. All too often, when we think about vaccination, we worry about how to communicate with those convinced that vaccinations are bad for them. But as this recent research shows, there is plenty of lower-hanging fruit: people who are likely to get vaccinated if they understand the necessity. Reaching these people, and explaining to them the importance of vaccination and the risk they are taking for themselves and others if they don’t adhere to the recommendations, should be an equal if not more pressing priority.